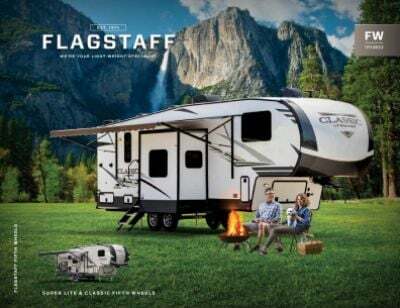 Bring the 2020 Forest River Flagstaff Super Lite 528CKWS 5th Wheel home to the family! If you've ever dreamed of owning your own RV, now's the time to stop in and see us at Gillettes Interstate RV in East Lansing, Michigan! We've been a leader in RV sales, serving mid-Michigan and beyond for over four decades with our huge selection of all the most popular RV brands at competitive wholesale prices! Stop in and see us today at 7210 E Saginaw St East Lansing Michigan 48823 and let our expert and courteous staff help you find the RV you want! And with our fast, reliable 24/7 door-to-door delivery service anywhere in North America, we can put you in the perfect RV even if you don't live in the East Lansing area! So give us a call at 517-339-8271 and we'll make your RV dreams come true in no time! With a hitch weight of 1365 lbs, this RV is very towable and easy to set up, especially the 17' 0" power patio awning that provides shade and comfort for outdoor living. The sturdy GVWR of lbs. means it will give you and your family years of outdoor fun! Nothing beats comfortable living on the road! 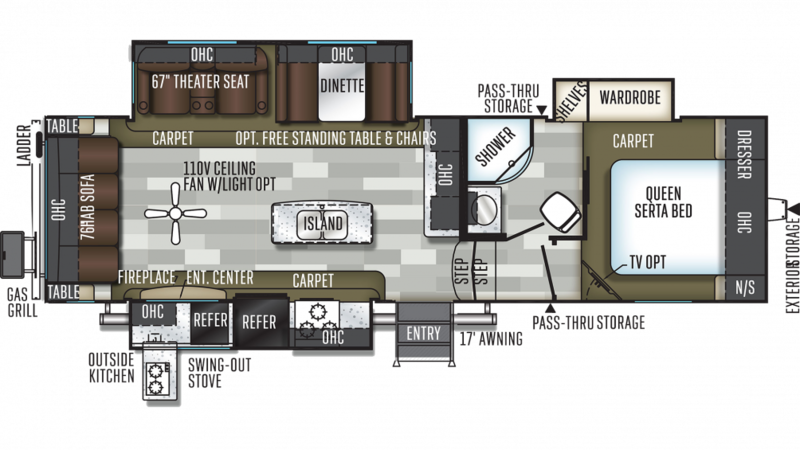 This RV is a roomy 32' 5" long and 8' 0" wide, with 3 slides that open easily to optimize the living space! Thanks to the modern 13500 BTU a/c unit, you'll stay cool on those sizzling summer days! When the temperature drops on those cold nights, the efficient 35000 BTU furnace will keep everyone toasty and warm! Inside the kitchen, you'll be able to cook with a wealth of modern appliances, including a 3 burner range cooktop, 8.00 cu. ft. refrigerator, and more! With the 60 gallon fresh water tank, you'll enjoy refreshing water for drinking, cleaning, and cooking throughout your entire trip!